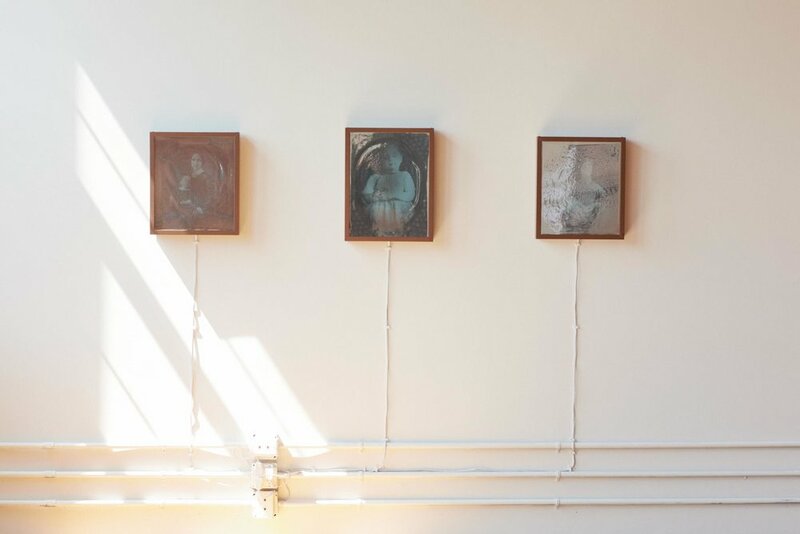 "You Bid A Short Adieu..." is made up of three, new media daguerreotypes. Each image is a direct scan of a nineteeth century postmortem and/or mourning photograph. Re-imagined as a light box, these images present a ghostly glow to the viewer. "The Year of Firsts" is a collaborative writing and photographic documentary by Kelly Christian and Charla Hudlow. This piece focuses on the Patriot Guard Riders in Maine at the height of the Iraq War in 2007. The Patriot Guard is a group of bikers that ride to protect fallen veterans against the Westboro Baptist Church (and other potential protestors). We attended 5 funerals, and numerous events with PGR. We ended up collecting about 18 finished photographs (out of a total of 3,500+ photographs shot during the project), and a polished writing piece. The project was the thesis of our program at the Salt Institute of Documentary Studies in Portland, Maine.